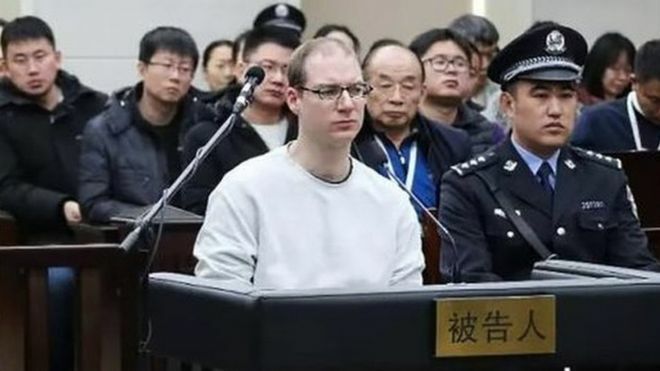 The family of a Canadian man who has been sentenced to death in China say their "worst fears" have been realised. Robert Lloyd Schellenberg was given a 15-year jail term in November but, on Monday, a court said the sentence for drug smuggling was too lenient. The ruling is likely to worsen a diplomatic row between the countries, reports BBC. "It is a horrific, unfortunate, heartbreaking situation," his aunt, Lauri Nelson-Jones, told the BBC via email. "It is our worst case fear confirmed," she added. "It is rather unimaginable what he must be feeling and thinking." Canadian Prime Minister Justin Trudeau condemned the ruling. "It is of extreme concern to us as a government, as it should be to all our international friends and allies, that China has chosen to begin to arbitrarily apply the death penalty," he said in a statement.